These white favor boxes are our number one favor box. Choose from several sizes. 2" X 2" X 3 1/2"(from bottom to very top of tab on box). Brushed metallic gold finish. Great box for any event! Unbeatable price! Price is for the box only. 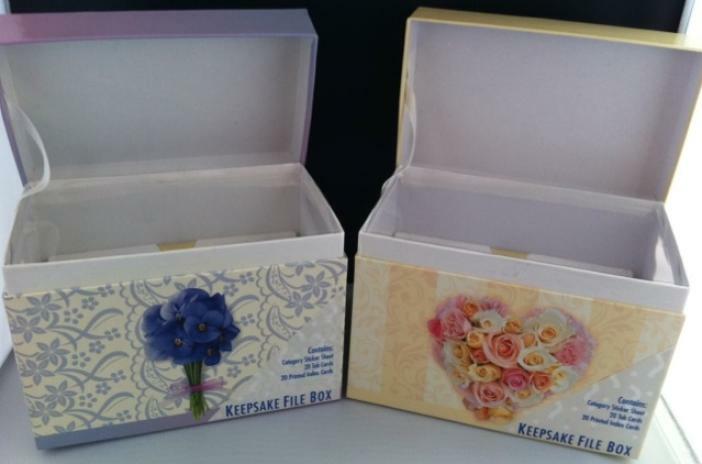 2" X 2" X 2" Damask Favor Boxes. Contents not included. 2" X 2" X 2" Palm Favor Box. Assembly Required. Contents not included. 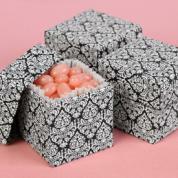 2" X 2" X 2" Black and White Favor Box. Assembly required. Blush 2 pc. favor box. Assembly required. Contents not included. 2" X 2" X 2". 2 pc. 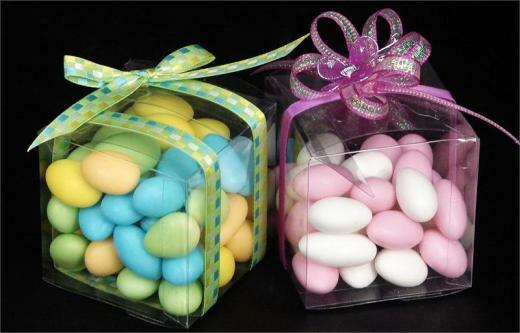 White Shimmer Favor Box. 2" X 2" X 2". Assembly required. Contents not included. 2" X 2" X 2". Assembly required. Contents not included. 2" X 2" X 2". Contents not included. Assembly required. 2" X 2" X 2" Favor Box. Assembly required. Contents not included.